One of the most anticipated J-Rock releases of the year is finally here. 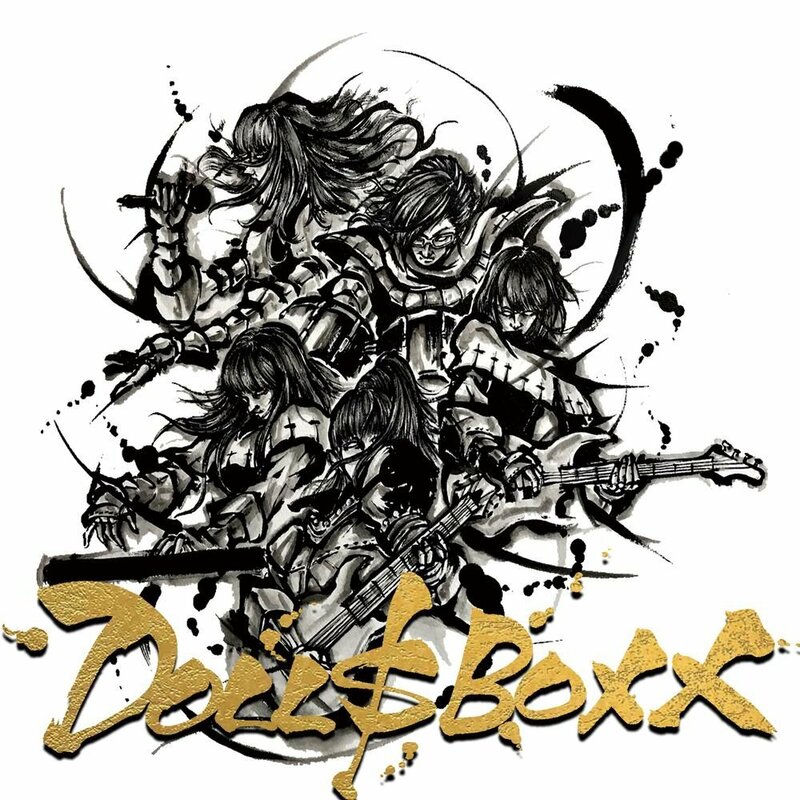 Teased at their reunion show earlier this year, DOLL$BOXX’s follow up to DOLLS APARTMENT, high $pec, was released November 8th. The album’s black and white artwork, along with the dark attire of the band members, give clues to the sound and direction contained on this EP. Gone are the bright and colorful idol-like costumes from DOLLS APARTMENT. Fans that are familiar with Fuki’s and Gacharic Spin’s past releases know that these artists consistently create music that is fresh, seldom releasing material with the same sound as previous works. 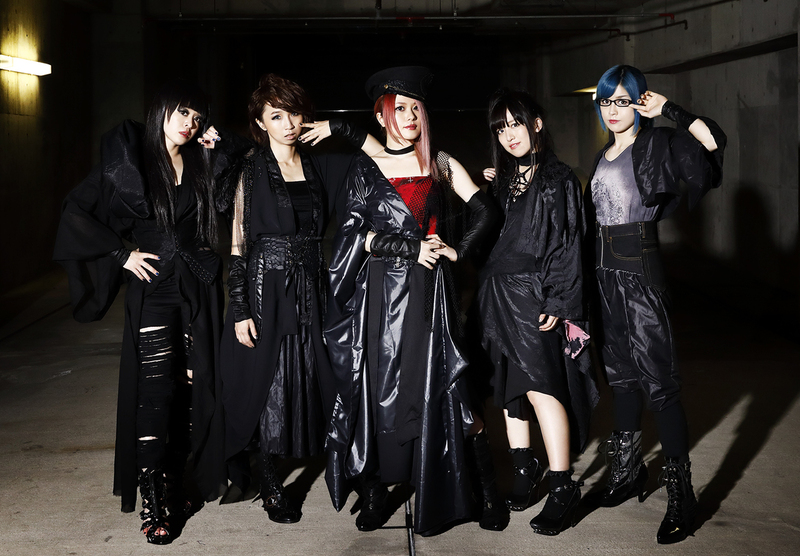 The band made a conscious decision to move away from the cute and bright sounds and visuals of the 2012 version of DOLL$BOXX. The overall sound of the EP can be described as sharp, attacking, aggressive, loud rock. From first listen it is immediately clear that the songs have a heavier, lower sound this time around. This includes Fuki’s vocals which are similar in range to her work on Black Pentagram by Unlucky Morpheus. F Chopper KOGA stated in a recent interview that she switched to a five string bass for this release to help achieve a lower sound. Kicks things off with a winning formula – a keyboard intro by Oreo, memorable guitar riff, and a vintage scream by Hana. Every instrument in this song just pops and stands out, nothing hidden in the background. Excellent choral section featuring Fuki, Hana, and Oreo. Musically reminds me a little of Gacharic Spin’s “Digital Fiction”. Heavy use of synthesizers, fast driving drumming by Hana, some nice bass solo sections by KOGA, and a vocoder on the intro. Fuki’s smooth powerful vocals just flow rhythmically through this song. Very cool rap portion in the bridge leading up to TOMO-ZO’s solo. While there is no ballad on this album, this song is the closest to one. Slower paced than the other tracks yet still heavy. A beautiful song with a hint of sadness in it. The alternate singing between Fuki and Hana really works well here. Wow, TOMO-ZO! The guitar work is superb on every song on the EP, but I feel on this song it stands out the most. The riff in this song is amazing and I don’t think I can accurately describe the solo. All I can say is listen to it! Just a straight up great rock song. Everything really gels together here. KOGA’s bass slap and Fuki’s soaring vocals are really prominent on this one. Every track stands on its own and could be released as a single. There is absolutely no filler here. Fans will have a difficult time picking out a favorite track – signs of a great album.